The memo has also been posted by MDS, here. The letter above clearly notes that his health issues are more complex than previously thought, but his reasons for stepping down include the fact that stories about his health distract the company from doing its core work. 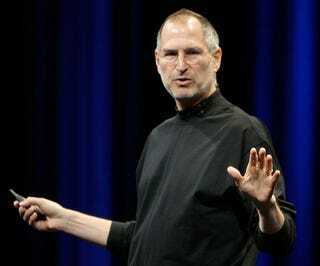 When Jobs took off last to undergo surgery for pancreatic cancer, he took one month off. Here's he's taking six. The silver lining is that Steve is looking "forward to seeing everyone this summer". I hope his rest goes well and he returns well in June. Editor's Note: We got a lot of heat for breaking the unpopular rumor of Steve being too sick to present at Macworld a few weeks ago, and speculated that he was resigning months ago. Peers at CNBC and All Things D and others were not convinced, because it was hinging on one particular source, and in conflict with what Apple and other sources have told them. The NYTimes edited Jesús Diaz's piece out of the first draft of the story, and the AP reported it out of thin air. Apparently, they all believe the story now. Special thanks to Josh Q. at Time and Dan F and the team at Silicon Alley Insider for the faith and for not shooting the messenger.